Manufacturers offer their view of the market. The transition from CR to direct DR is still a significant issue in medical imaging. On one hand, benefits of DR technology such as improved image quality and faster exams are important to a busy facility's success. On the other, health care providers face growing challenges to better control costs. Tsuneo Imai, vice president and general manager of Canon USA's Healthcare Solutions Group and president of Virtual Imaging, Inc, says the financial pressures being felt by all in health care have kept many facilities from acquiring DR technology. Though cost is a deterrent in some situations, DR use is still expanding. In April, Canon celebrated placement of its 30,000th detector worldwide. Looking around the industry, some manufacturers are putting more focus on lowering dose, while other manufacturers focus on price. "The reality is that we all have to be looking for ways to lower cost in order to be competitive and profitable in the face of the purchasing trends in health care reform," says Robert Fabrizio, director of marketing and product development for FUJIFILM Medical Systems USA DR products. "Fujifilm has always been focused on dose and image quality combined with a strong reputation in reliability. Fujifilm is enhancing total cost of ownership through innovative engineering enhancements designed to improve every aspect of performance, reliability, and durability." Helen Titus, worldwide marketing director for X-ray solutions and ultrasound for Carestream, notes there is much broader use of wireless DR technology at hospitals of all sizes, imaging centers, urgent care centers, orthopedic offices, and other facilities. "As DR technology continues to evolve, it offers significant advances in image quality, productivity, reliability, ease of installation, as well as detectors with higher sensitivity and the ability to help reduce dose," Titus says. "In addition, new generations of DR systems, such as Carestream's DRX-Evolution Plus, will support advanced applications such as dual energy and tomosynthesis exams and other emerging technologies." Ueli Laupper, the DR business director at Agfa HealthCare, says the talk in the industry is focusing on retrofit solutions, mobile DR applications, dose reduction, conversion from CR to DR, image quality advancements, and automated full body imaging for scoliosis and long bone studies. "For us, we're concentrating on dose reduction gains being made without sacrificing image quality," Laupper says. "Agfa is able to reduce dose more than any one else in the market—up to 60%." Viola Fernandes, radiography product manager for Siemens Healthcare, says another hot topic in DR is the need for multiple wireless detectors that can be shared among different units. She says people are also looking at possibilities of different configurations to meet their organizational needs. Jacob Bastian, senior manager of market development for Toshiba America Medical Systems' X-ray product, says the company is noticing a trend in the industry of medical facilities utilizing a greater number of portable systems and reducing the number of fixed X-ray systems. "This is due to increased flexibility, a reduction in per system cost, and improvements in the reliability of portable scanners over their predecessors in years past," Bastian says. "The coinciding reduction in the number of fixed X-ray systems means that today's fixed DR systems must be able to operate flawlessly while accommodating a greater number of patients." Bastian notes that system uptime and service are becoming even more critical today than in the past, a result of an increase in the number of patients individual medical facilities are servicing as a result of the Affordable Care Act. "Time and time again we hear from competitor customers that they are incredibly disappointed in the service they receive from their existing vendor, and that their equipment is 'always broken,'" he says. "Toshiba maintains five major parts depots around the United States and three dozen local parts depots. We realize the importance of exceptional service to our DR customers and think a greater emphasis should be placed on this as it relates directly to our customers' ability to service their patients." Bruce Ashby, general manager for Viztek, notes that the industry is seeing lower cost panels with high image quality, which may have a disruptive effect on the DR market. "DR panel companies are feeling the pressure to lower panel costs for their end-users and develop better hooks for the respected manufacturer," Ashby says. "As panel prices reduce, this affects the whole system. Facilities can find low-cost solutions instead of panel-only to help with radiology department equipment." Radiation dose and cost are talking points for nearly every DR company, but there are other issues that those involved in the business would like to see and hear more about. According to Fabrizio, low-priced detectors offer savings up front, but often sacrifice reliability and, more importantly, image quality and dose. "In this new age of cost cutting, customers, especially IDNs [Integrated Delivery Networks], are laser focused on total cost of ownership, with everything factored in: purchase price, user and service training, service and replacement costs, and more," Fabrizio says. "User interface, image quality, and dose are being more and more interpreted by buyers as relatively the same from one brand to another." According to Fabrizio, another trend involves IDNs; as hospitals continue consolidating across the country, IDNs are growing and represent huge purchasing power. "Large group buy deals involving multiple hospitals are more common and, as to be expected, these group bids result in major competition as vendors vie to be the chosen supplier," he says. "It's great for buyers, not so great for manufacturers, as the accelerated competition will begin to weed out the weak players that can't effectively compete at these very aggressive price points." On a day-to-day basis, Ashby says he's dealing more often outside of the hospital, and he feels hospitals need a better understanding of what the market is offering, and how to better compete. "As an expert in this category, I want to make sure that hospitals understand the different market places and are informed about companies like Viztek, so they can make better decisions moving forward," Ashby says. Bastian feels that Toshiba is unique in that it is capable of addressing the needs of its customers with superior DR equipment and also genuinely cares about concerns at individual accounts. "Last year one of our customers, a level-one trauma center, asked us if it would be possible to modify the programming of multiple DR RADREX systems that they purchased to better suit their unique needs," Bastian says. Within a very short period of time a meeting was scheduled on site with not only representatives from Toshiba's US-based Business Unit but also research and development engineers who flew in from Japan. Through this collaborative partnership, Toshiba worked to provide a highly customized solution to this critical trauma facility. When talking with customers, Laupper says the main things Afga is looking for in 2015 are flexible configurations with single, dual, or triple detector systems; retrofits to upgrade existing systems; and small detector format for neonatal ICU incubator applications with mobile DR.
At Viztek, Ashby says its customers are demanding better dose area product and pediatric dose imaging. "In addition, the demand for extended drop [coverage] for panels is increasing due to the switch to wireless technology and lastly, better integration so everything is easily accessible smarter and faster," Ashby says. At Carestream, Titus says it continuously seeks customer feedback and ideas from its medical advisory board—made up of thought leaders across the globe—to discover what new capabilities are needed to address current imaging challenges. For example, Titus says the DRX-Revolution Mobile X-ray system was specifically designed to address imaging needs and challenges with existing mobile systems. "We gathered input from dozens of technologists and radiology administrators/directors worldwide to deliver revolutionary capabilities including a collapsible column for clear visibility, dual motor drive that makes moving the system effortless, a long tubehead that provides access to patients in crowded rooms, and a small footprint with a touch-screen display on the tubehead that enables technologists to stay at the bedside while they review prior images, make technique changes, and accept the image," Titus says. Fujifilm routinely solicits feedback from its users and the purchasing decision makers to formulate future strategies. "We perform annual trips with our [research and development] engineers to live customer sites to analyze workflow, ask questions and get feedback on concepts and future enhancements," Fabrizio says. "Much of the product focus is the same as it has always been for Fujifilm, to keep innovating and make technology lighter, rugged and reliable, easy to use, [and] fast, and to keep bringing Fujifilm renown image quality and dose efficiency." In general, Imai notes its health care customers are looking to accelerate exams and maintain effective workflows, so that they can effectively accomplish more while maintaining quality care. "Our solutions need to be innovative and flexible to accommodate their specific needs," he says. "One of our customers was recently looking to upgrade their older technologies to help increase productivity and provide better patient care. With one RadPRO DELINIA 200, they were able to seamlessly upgrade three rooms from CR to DR rather quickly." In November 2014, Canon and Virtual Imaging introduced the new RadPRO DELINIA 200 Digital X-ray Acquisition Cart, designed to be a cost-effective option to transition from CR to DR technology by utilizing the newest generation of Canon flat panel detectors with their auto-detection capability. "The RadPRO DELINIA 200 Digital X-ray Acquisition Cart can provide Canon DR capabilities to help customers increase productivity and profitability wherever there is an existing installed X-ray generator or mobile generator," Imai says. "These capabilities can be shared among rooms, such as rad room, trauma, [operating room], and [emergency department]. We call it Digital Radiography on Demand. And, because it comes with a choice of Canon CXDI-701C/801C/401C Wireless detectors, it makes possible the acquisition of high-resolution medical images with a low radiation dose—a win-win situation for health care professionals and patients alike." The DRX-Evolution Plus is Carestream's newest DR room platform and is scheduled to be available in July 2015. It offers a new overhead tube column extension that will provide greater flexibility in high-ceiling rooms. "This new design allows the tube to extend closer to the floor and provide the correct distance to capture standing ankle and feet exams in high-ceiling rooms," Titus says. "The system also offers new LED lighting to allow technologists to see foot pedals, which can enhance productivity." In addition, a new table option offers a higher patient weight (705 lbs) to serve a growing number of bariatric patients. Recent Carestream software enhancements that apply to the room and mobile DRX systems include bone suppression software for optimized viewing of soft tissue, pediatric software that includes automatic technique and image processing for seven pediatric body size categories, automatic acquisition and stitching for long-length and supine imaging exams, IHE Dose Reporting to facilitate data sharing with a facility's dose management system, and an automated secure log-in process that detects information from technologists' radio-frequency identification badges. Jay Hill, chief technology officer of detection and guidance solutions with GE Healthcare, says the company continues to see the conversion from analog and CR to DR around the world. With that comes continued advancements in image quality and image management. "More recently, with the growing pressure on cost, clinicians are looking for ways to deliver high-quality care with greater efficiency," Hill says. "To help meet those needs, technologies are being developed that offer automation, positioning, and applications that improve workflow and maximize the utility of the equipment—new diagnostic tools, and the ability to cover more patient needs. For example, demand for bariatric imaging continues to increase." Hill adds that GE often hears from customers looking for techniques that offer a more efficient workflow, better asset utilization for more clinical scenarios, and continued improvement in imaging. "For us, this translates into greater automation, rugged hardware designs, more flexible positioning systems, more attention to user experience, and new applications to use the data available in DR," Hill says. Looking ahead, Hill says more advanced procedures are likely to migrate into core DR systems, and general-purpose DR systems will be enhanced with more clinically specific software applications. "User interfaces and controls will continue to be more intuitive and efficient," he says. "The next great frontier involves the cloud, allowing new applications and collaborations that we haven't even thought of yet." The latest products from Viztek include single fixed panel solutions including an X-ray suite with zero liability to wireless networks and dropped panels. Some of the features include advanced gadolinium oxysulfide technology, durability to better sustain falls and water exposure, and a drop reporting system to ensure proper, careful handling and accountability from DR panel users. The integrated reporting system e-mails administrators when it has been dropped—including the height and time of the fall. Bastian notes that Toshiba has maintained a longstanding effort to provide robust systems to medical facilities. With its RADREX system, Toshiba continues to offer a standard 600 KHU X-ray tube, 600-lb table patient weight limit, and 80 kW generator for the same price point that some competitors charge for less-capable systems. "We also offer a wide array of configurations from dual fixed detector (wall stand and table), to mixed detector (incorporating a fixed 17- X 17-inch detector in the wall stand and wireless 14- X 17-inch detector in the table), to a single 14- X 17-inch wireless detector system where the panel can seamlessly be moved between the wall stand and table," he says. "We do this while maximizing safety through features such as our RexView with Image Preview Display." With this display a technologist can immediately return to the patient's bedside and accept or reject the image at the X-ray tube while being inches away from the patient, according to Bastian. RexView also allows the technologist the capability to adjust generator functions from the patient's bedside as well. In the near future, patient satisfaction will be a factor in the medical reimbursement rate equation. "Toshiba not only increases patient safety from events such as falls while a patient is unattended but also leads the way in helping hospitals increase patient satisfaction by maximizing the time that technologists spend with patients," Bastian says. "In addition to this, Toshiba also provides a patient name and identification screen on our wall stand, adding one more safety measure in ensuring that the correct patient is being treated. This can be important in busy departments with heavy patient throughput." new IPX6 water resistance, improved battery life, improved dose efficiency, and a new internal memory function capable of storing up to 100 images. "Built for real-world imaging, these detectors are 20% lighter than prior models, making them among the world's lightest for their sizes," Fabrizio says. "They are built to last and perform, incorporating durable magnesium alloy enclosure with a sleek surface and tapered edges to simplify technologist handling and positioning under the patient." FDR D-EVO II is also the first detector layered with Fujifilm's patented Hydro AG antibacterial silver ion coating, which is engineered and tested to be 100 times more effective than conventional coatings and provide 10,000 times more protection (based on residual bacteria counts) than surfaces with no coatings. Additionally, Fujifilm's Virtual Grid results in higher image contrast and clarity. The new intelligent processing is designed for exams such as routine portable chest exams and abdomen that require high penetration where a grid is not used. "Virtual Grid automatically adapts its processing to replicate grid use to reduce degradation of image quality caused by scatter radiation," Fabrizio says. "This new feature analyzes the image for scatter effect based on exam menu and selected parameters and offers automated and selectable grid ratios to further adapt image quality to site preferences. Virtual grid processing will be a great benefit to technologists for mobile imaging in emergency department, operating room, bedside, wheelchair, and other exams where they may not have the optimal grid or any grid on hand." FDR Go 2 is Fujifilm's latest in mobile DR. A full-featured system with a compact design built on a rugged 32kW mobile X-ray platform with low-profile tube lockdown and a quiet, smooth, agile drive. Agfa has a number of new products designed to meet rising customer demands. Its retrofit DX-D Retrofit, an automated exposure detector, is vendor neutral and designed for use on GE AMX and Siemens Mobilett mobiles. Other products include Agfa's mobile DX-D 100, featuring a telescopic column and offering what Laupper says is the best image quality on the market; the flexible full room DR 400; and the company's patented MUSICA image processing software. When used with Agfa DR, this can reduce dose up to 60% without sacrificing image quality. Siemens Healthcare recently announced that a new, two-detector version of its established Multix Fusion DR system is now available in the United States. It features digital cassette-sized flat-panel detectors, a large fixed detector in the wall stand, a height-adjustable table with a 660-lb weight capacity, and a touch screen positioned at the overhead tube suspension for exam parameter changes at the patient's side. The company also has a new Mobilett Mira Max, a digital mobile X-ray system developed for versatile everyday use and for demanding clinical situations where rapid image availability and high image quality are vital. Fernandes says the system serves a range of applications from broken legs to lung exams without patient transport and also allows clinicians to perform examinations in tight spaces. "We're targeting all the different market segments, from urgent care to free standing [emergency departments] to outpatient clinics to orthopedic centers to small and medium-size hospitals," Fernandes says. "We all know that digital is faster and DR is done with a lower dose, and those that are upgrading want to also go wireless." Most industry insiders see the future of DR becoming the standard in radiology rooms and CR being phased out, or at least becoming a much smaller segment of the radiography market. 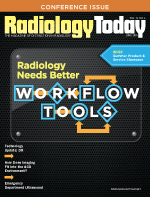 "More radiology professionals will be able to utilize the long-term benefits of converting from CR to DR as cost concerns are addressed by more cost-effective, productivity enhancing systems," Imai says. The DR market in the United States appears to have matured ahead of other regions in the world. Medical facilities now expect the best technology at very competitive pricing. "There will continue to be a push to provide systems that can accommodate greater and greater numbers of patients from the pediatric level through the adult bariatric level," Bastian says. "At the same time there will be an expectation that the DR system can handle the most challenging demands of trauma and [emergency] departments while simultaneously maximizing patient safety and dose reduction." Looking ahead, Ashby believes that panel sales will continue to remain strong and prices will continue to fall. "The replacement of the CR market is large, allowing for a lot of growth within the DR market," he says. "And of course, the wireless panel will continue to grow as we move forward." As Fabrizio puts it, the DR market is very competitive—it's great for the hospitals but not so great for manufacturer's profits. "Manufacturers are constantly looking to find new ways of balancing value-added features and benefits with competitive selling prices and lowering costs to manufacture," Fabrizio says. "Technology continues to advance, allowing for exciting new capabilities and efficiencies for the companies like Fujifilm that invest in continuous innovation instead of just settling for good enough." Above all, Fabrizio stresses, radiation dose in general X-ray matters. "This may sound obvious, but the reality is that not all purchasing decision makers are embracing this with the best interest of the patient," he says. "Cost cutting to the extreme is forcing many to incorrectly minimize the value of quality and innovation. Buyers should note that not all brands are the same when it comes to dose and image quality." Looking in his crystal ball, Laupper says he feels there will continue to be an increased demand for dose reduction with high image quality, as well as the use of tomosynthesis for certain clinical applications, longer operational time/better battery life for mobile DR systems and telescopic columns with mobile DR to make imaging safer and easier. Carestream's Titus says her company offers a tiered portfolio of room-based and mobile DR to service various niches in the market from large facilities to smaller-volume health care providers, such as imaging centers, urgent care centers, orthopedic practices, and community hospitals that make up the market migrated to DR.
"Speed and image quality are always important, but dose is really what we'll probably be seeing improve most in the years ahead," Titus says. "There are a lot of vendors now, and all vendors are trying to get the best image quality at the lowest possible dose."